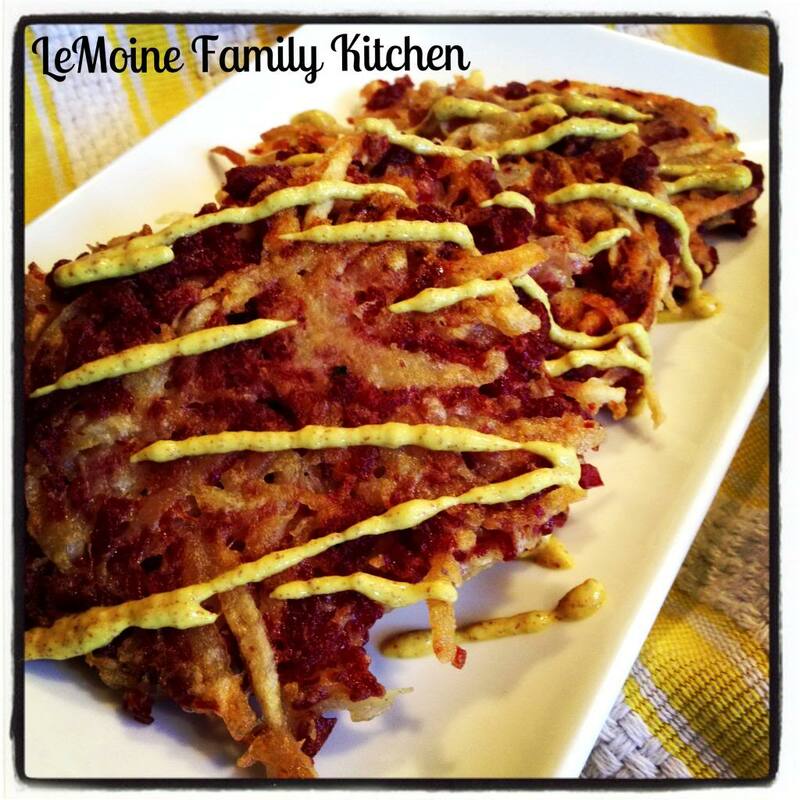 I’ve been on a little bit of potato pancake kick, straight up potato pancake or a zucchini potato pancake… all delicious! So when it came to coming up with a way to use up the little bit of left over corned beef I went straight for the potato pancake idea! Turned out to be a great breakfast, nice and crispy and lots of flavor. 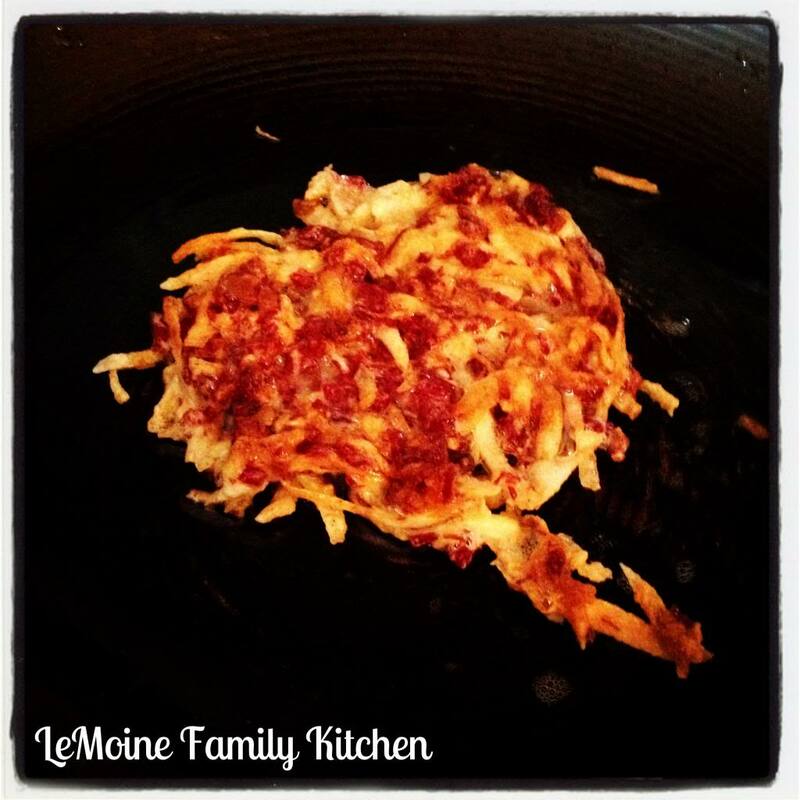 Serve with some eggs cooked up to your preference for the perfect day after St Pattys Day breakfast! Oh, and keeping with the St Pattys Day thing, I of course had to add some spicy mustard on there as well! 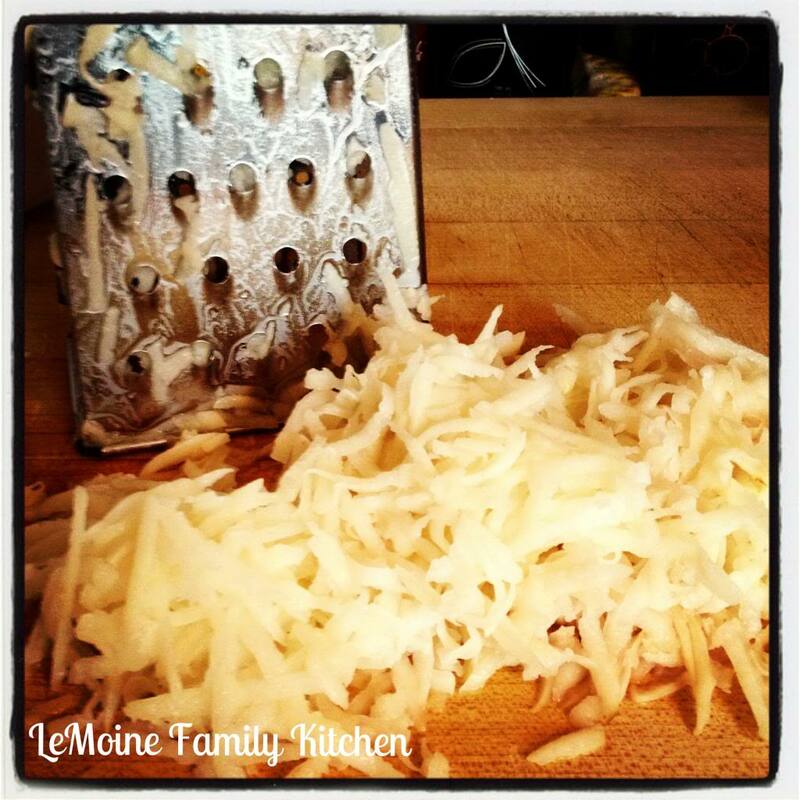 Peel your potato and grate using a hand grater. Place the potato onto a clean dish towel and squeeze as much liquid out as you can. Do the same for the grate onion. Heat a saute pan with vegetable oil over medium heat. Scoop the mixture by the heaping Tbsp and place into the pan, press down lightly to make it an even thickness. Cook for 2-3 minutes per side until golden brown. That’s an interesting and unique idea…I may have to give this a whirl! Thanks!! I ate most of them myself! They were soooo good!!! I love all things crispy! Oh YUM! 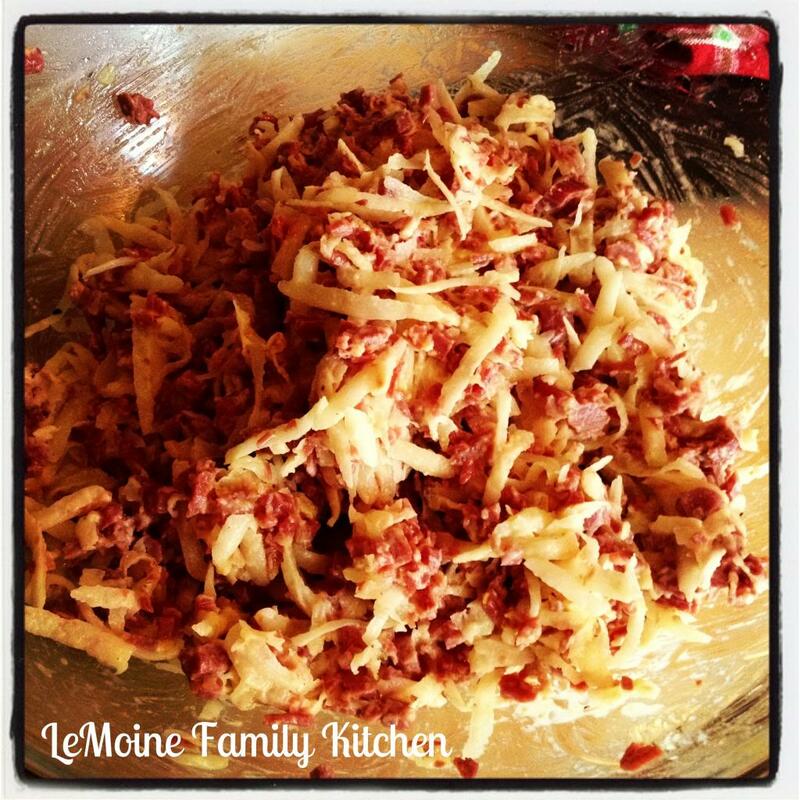 I loooove corned beef anything and this sounds so good! Now your newest follower 🙂 Thanks for stopping by my blog! Hi! Thanks for stopping by my blog! I’m following here too now. Looking forward to some yummy recipes. Thanks for the follow! So excited to follow your blog as well! 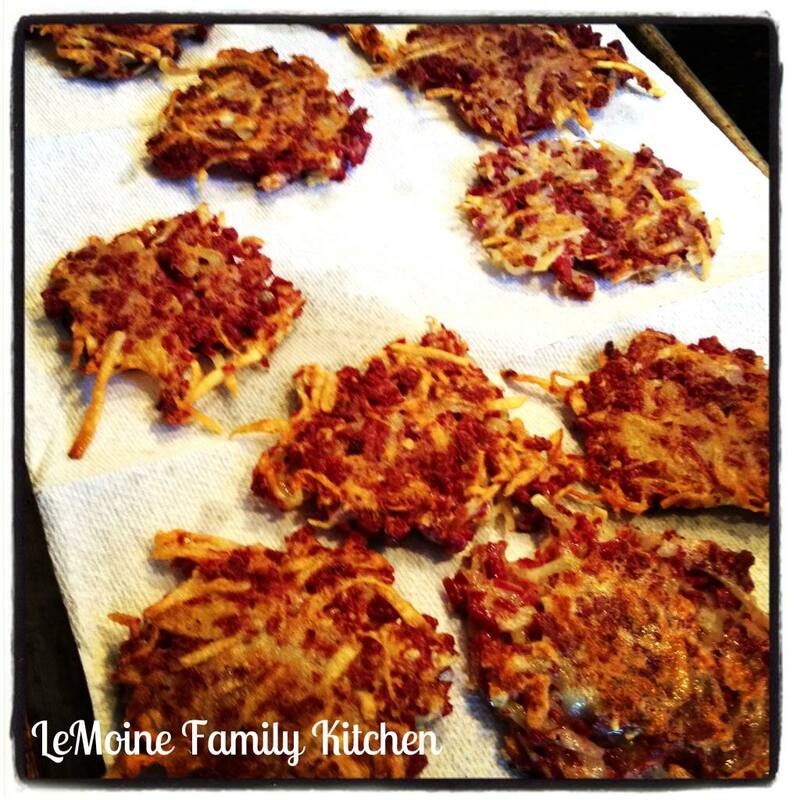 My mom used to make potato pancakes exactly the way you do, which I don’t see very often, and they’re my favorites! Add corned beef and I’m in Irish Heaven! Thank you for sharing with the Clever Chicks Blog Hop this week! 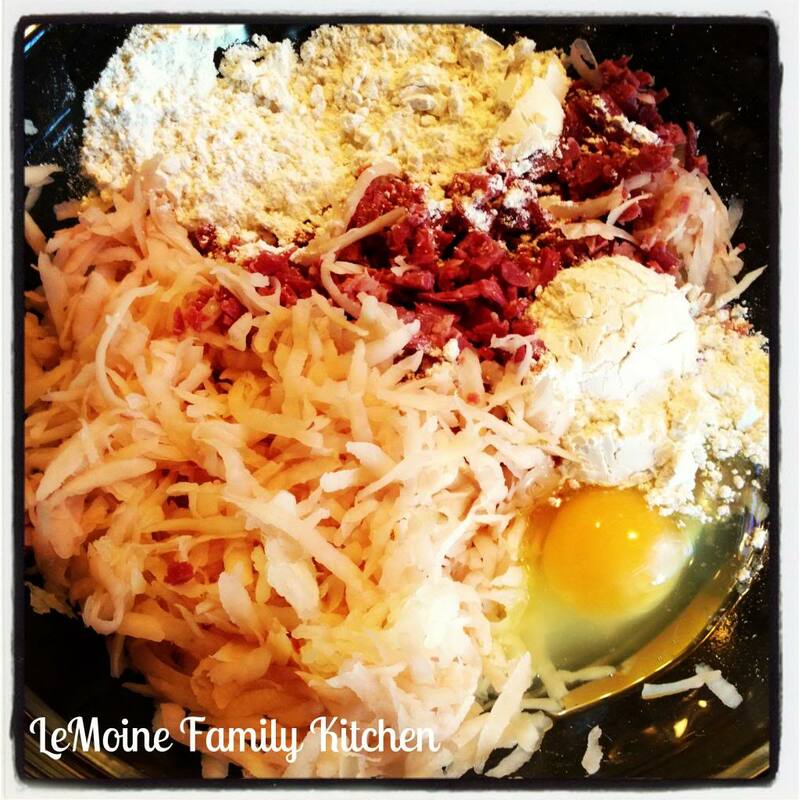 I used to make a quick meal using frozen hash browns and corned beef tossed around in a frying pan. I didn’t even think about potato pancakes! Thanks for sharing.